Roy has nearly 30 years of IT experience across many industries, including Finance, Insurance, Government, Manufacturing and Telecommunications. Over the course of his career, he has participated as a hands-on developer, technical lead, architect, project lead and development manager in companies ranging from small startups to multi-national Fortune 50 firms. 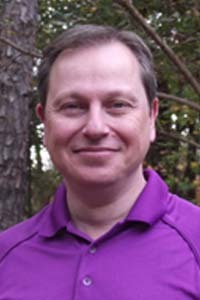 Roy also has experience in managing International teams and dealing with communication issues, time zones and cultural differences that typically plague these teams. Over the past 7 years, Roy has been practicing Agile in large company – heavily regulated environments. He has worked closely with PMOs and Change Management groups to help them transition to Agile. His passion is organizational change and has implemented Scrum, Kanban and XP methodologies to help organizations recognize and address their challenges. He does so not just at the team level, but also for the enterprise. Roy believes that there is no “one size fits all” solution and looks to find the right combination of processes for the situation. Roy is a skilled mentor, proven developer and an experienced leader with a long history of building lasting trusted relationships.